Would anyone be willing to share their battery set up? I am getting bogged down in planning this by multiple things including a near complete lack of knowledge of electricity/batteries etc. 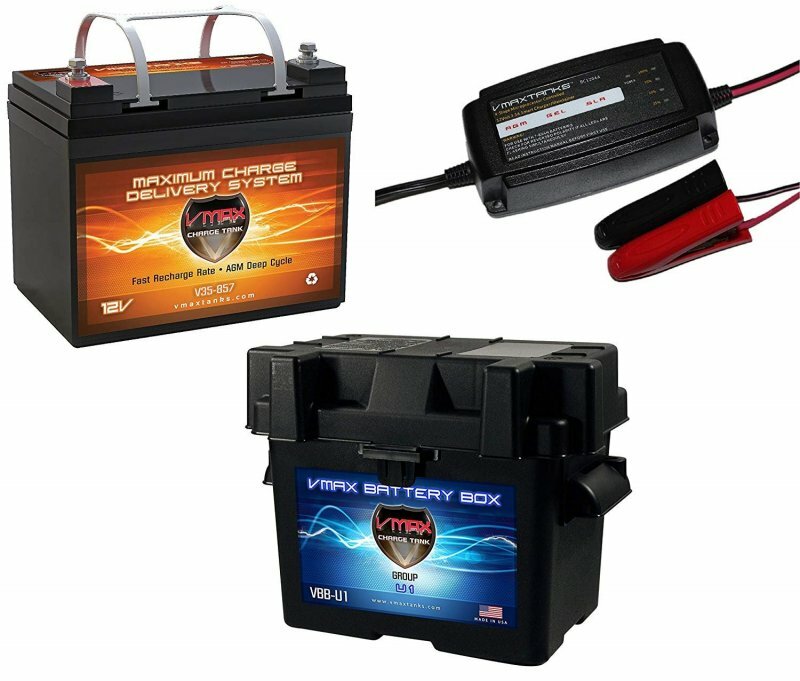 I envision a deep cycle battery in a battery box in the hatch next to the bulkhead connected to a V-charger (image attached) installed under the thwart. Primary purpose of the battery would be recharging an ipad(navionics) and 1-3 iphones. Would anything else be needed (eg. fuses to protect the battery or devices)? Attached are some images of the components I have considered. Too much? Not enough? Better way? etc. etc. Fuses protect the wiring, not the fixture or battery. All wires should be fused at the source of power to it and according to the rated amperage of the wire and the length of the run up and back. (gauge of wire and round trip length) Any wire originating at the battery should be fused within 8 inches of the battery with an in line fuse or breaker sized appropriately. If you run to a central hub, then all lines after it should be fused at the hub accordingly. An example would be an electric panel or box. A boat typically has a thru-bulkhead electric connection to allow plug in to a 110v line. The 110v then goes inside the boat to a battery charger which is connected to the battery. The battery is then connected to a fuse/switch panel, such as Blue Seas makes. For a CS17 this panel might have six fused switches for masthead light, nav lights, radio, charging outlets, cabin lights, gps. You then run wires from the panel to your outlets, etc. Whenever you want to use something you flip the appropriate switch. To keep it simple you might omit the thru-bulkhead and just lead an extension cord in to the cabin to plug in the battery charger. A boat typically has a thru-bulkhead electric connection to allow plug in to a 110v line. The 110v then goes inside the boat to a battery charger which is connected to the battery. That would be extremely dangerous. Only a proper shore power system should be hard wired in a boat for AC, including a reverse polarity switch. If you are charging your battery while the boat is stored on land you can simply use a remote charger and keep your electrical simple and just DC. What exactly are you looking for in a DC system on the boat acreew? Just a USB port? Running lights? Interior lights? Place a fuse block at the battery in line with the main wire to your fuse block or breaker panel for the boat. Total draw expected and round trip length of the wire will determine which gauge and fuse capacity to use. Then each circuit coming off the main will be protected by a fuse or breaker to match the smaller wire running to the plug or lights. FYI, all of my advice is based on ABYC electrical standards. thank you. I only want a usb port. Would use a battery bank but having trouble finding one that can recharge an ipad multiple times. Also unavailable but you get the idea. The solar charger with the two batteries ties to the deck in the sun. It doesn't take but a few hours to have them both topped off. If my phone goes dead I can take one battery out to charge it and keep the other one charging. This whole system is really good. A boat typically has a thru-bulkhead electric connection to allow plug in to a 110v line. The﻿﻿﻿﻿ 110v then goes inside the boat to a battery charger which is co﻿nnected to the battery. Hirilonde replied: "That would be extremely dangerous. Only a proper shore power system should be hard wired in a boat for AC, including a reverse polarity switch.﻿﻿﻿"
I don't think I described anything dangerous. Typically a boat will have an electrical connection to the outside. The shore power cord is plugged into the connection and that is how electricity is brought into the boat. However, I did describe a system that is more complex than Acreew needs. I was thinking the topic was a CS17-3. Sorry. A USB port in a car is protected with a 5 amp fuse. This could be done in the boat with a simple fuse block or an in line fuse. I agree that easiest charging on land is to use a portable charger on an extension cord. You may not think it is dangerous, but ABYC does. There is more to a safe shore power connection than you describe. I will defer to them. acreew, I would consider something like Steve mentions if a USB port charging is all you need. 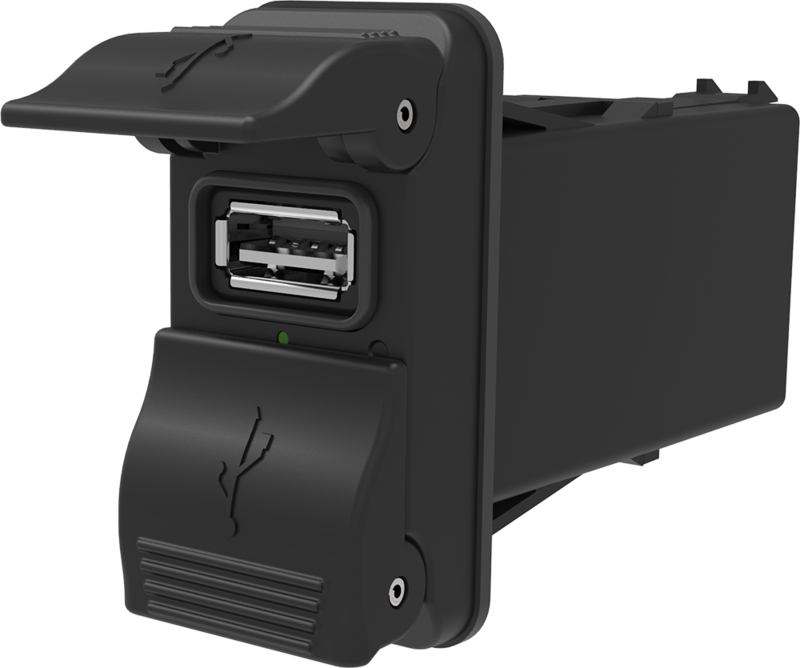 If you do go with a battery, then an in line fuse and wire sized to meet the amperage being used to your USB port is all you need.